The MITAFORM has been developed to meet MITABOOK’s customers request to further improve the shape of fold area of cased-in books. Heated and exchangeable fold forming irons become also necessary when a particularly shaped form of the joint area is required like for example with side sewn books. 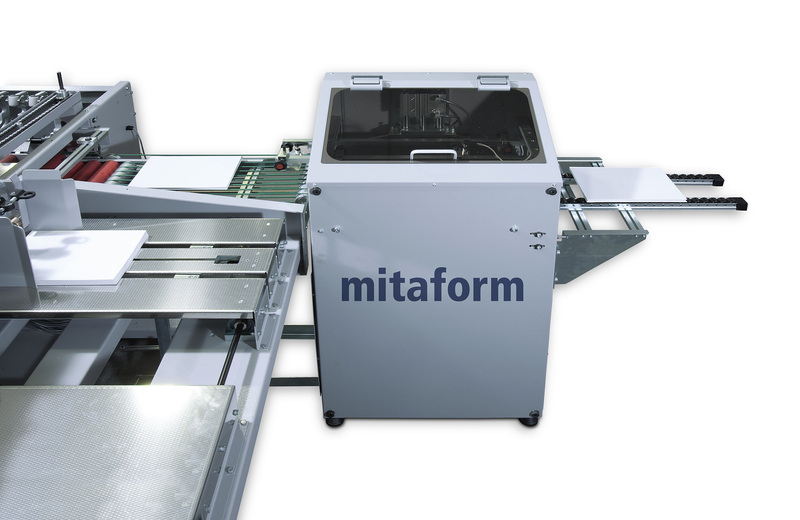 The MITAFORM is a mechanically and electrically independent device, which can be installed on new as well as existing MITABOOK casing-in machines. Forming irons can be easily exchanged to adapt to the required shape of the fold area.